environment away from prostitution, crime and drug addiction. development, Conviven offers workshops in drawing, photography, painting, loom, dance, theatre, and circus production, again among many more. 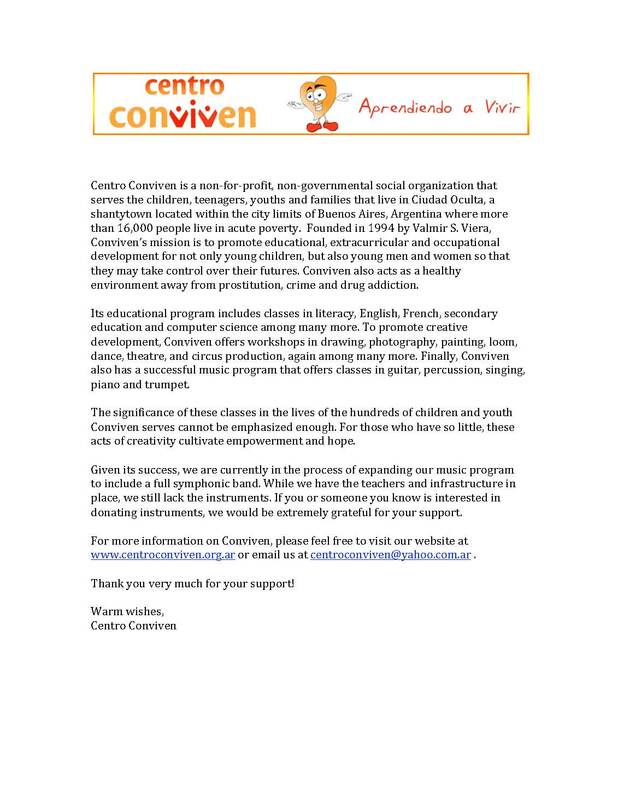 Finally, Conviven also has a successful music program that offers classes in guitar, percussion, singing, piano and trumpet. The significance of these classes in the lives of the hundreds of children and youth Conviven serves cannot be emphasized enough. For those who have so little, these acts of creativity cultivate empowerment and hope. Given its success, we are currently in the process of expanding our music program to include a full symphonic band. While we have the teachers and infrastructure in place, we still lack the instruments. If you or someone you know is interested in donating instruments, we would be extremely grateful for your support. 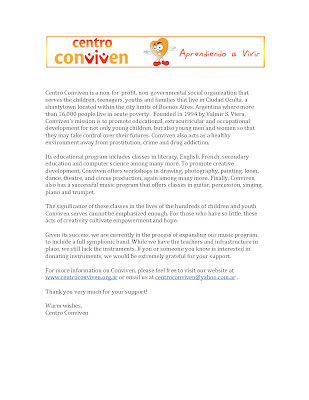 www.centroconviven.org.ar or email us at centroconviven@yahoo.com.ar .